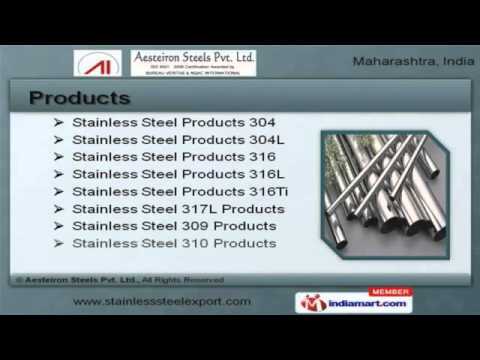 Welcome to Aesteiron Steels Private Limited Exporter & Importer of Stainless Steel Products We are an ISO 9001:2008 certified company, established in 2007, at Navi Mumbai. We have spread our wings to Australia, Africa & Europe. Dimensional accuracy, excellent logistic support & Industry leading prices make us the preferred supplier in the industry. We offer a vast range of Stainless Steel Products 304, 316 & 316Ti. Our Stainless Steel 321, 347 & 904L Products are best in the industry amongst others. Stainless Steel Tubes, Pipe Fittings & Duplex Steels offered by us are well known for their durability. Our Inconel Products, Alloy 20 & Buttweld Fittings are widely acclaimed in the market. We also provide Fasteners, Stainless Steel 17-4PH & 15-5PH that are a class apart. Along with that we offer SAE Stainless Steels, ANSI B16.5 & ANSI B16.47 Flanges that are cost effective.